Why can't Cotton and Anne ever find happiness? I guess their love is doomed to be tortured. 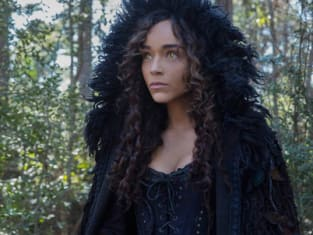 Cotton's big escape on Salem Season 3 Episode 4 met every challenge you could think of to keep the preacher in town. Kidnapping, paternity twists, magic -- it was all on the menu. I did particularly like the introduction scene in the episode with Anne's warnings to Cotton and the special effects of her multiple personas. It showed every side to her and the reasons to keep him in Salem. Cotton: I want nothing! I want nothing from you. Anne: But there is nowhere for you to go. Cotton: Boston. I will tell them the awful truth about Salem and they will raise this town! Anne: Tell them everything?! Then they will hang you for the murder of your father. Cotton: So let them hang me! So long as they believe, I will tell them all. Permalink: I will tell them the awful truth about Salem and they will raise this town! The big bombshell this episode, of course, is that Anne is pregnant with Cotton's baby. It's a surprising twist because Cotton wants to leave, but he's the type of character who would be honorable and stand by the mother of his child. And now it gives him a reason to stay in Salem permanently for the remainder of the season. Even though Cotton might not truly love her anymore, his early conflict (and later revelation) shows that he has some love for Anne. It's not the same extent as that creepy couple who kidnapped him had for each other -- it's more of a healthy love. But hopefully it's enough that will give these two characters a happy ending. Tituba: You can stop him. Cotton: That's madness. What could I possibly do that an army cannot? Tituba: Your love may conquer all. Cotton: There is no one left in Salem that I love. Tituba: Not yet. Your love still sleeps like we all once slept in our mother's womb. Cotton: A child? My child. Permalink: There is no one left in Salem that I love. That's not to say this twist is final though. 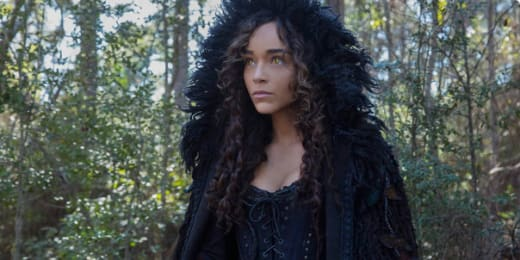 I'm a little hesitant for a few reasons: (1) Tituba isn't the most trustworthy of characters, so her giving the news isn't exactly reliable, and (2) it's a tad convenient to hear this just in time to keep him around. We need magical signs from Anne to confirm this pregnancy! In fact, the children on Salem are the ones causing the most stress. The dark lord alone is proving to be the most terrifying (and complicated) villain in the cast. But after performing the visually stunning reckoning on Salem Season 3 Episode 3, the dark lord still shows compassion and care for Mary. Does anyone think this will be his undoing? Now that Mary doesn't have powers, she needs something to get an advantage over him. I think we're finally starting to see the weakness in his character and the potential for how to defeat him. I mean, he took everything from her...but yet left the memory of him behind? That seems specific. Dark Lord: I could've killed you, or wiped your memory and left you a blank state. Then you wouldn't have remembered who I am: your son. Mary: I remember you and I hate you! Dark Lord: Hate is just a shadow of love; where there is one, the other is sure to follow. And there is nothing more powerful than the two combined. Speaking of Mary, her wit and confidence were on point this episode. (She's the queen for a reason.) Everything structured in this episode from the dialogue of The Sentinel to the ghostly torture from Rebecca Nurse served to bring Mary back to her strong self. Mary's journey has been a rollercoaster so far this season, but the pay off will no doubt be devastating. Essex Elder: You are right. I couldn't have demanded it if you hadn't the strength, but you do. You are you again. The strongest of us all! And not a moment too soon. They are winning, the tree is dying, and with it will die you, and us, and all our world. 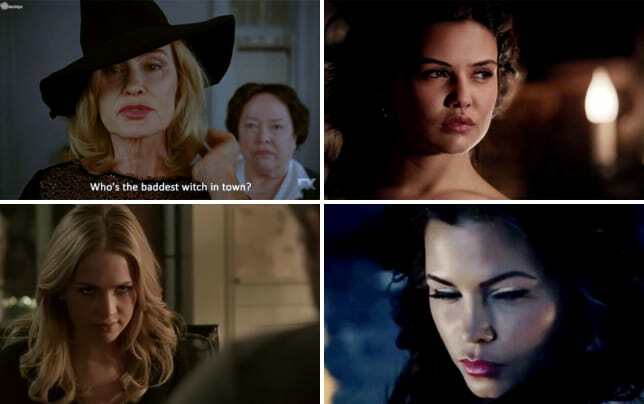 Mary: Well they picked the wrong witch, and the wrong woman. I shall prove to them that truly, hell hath no fury like THIS woman scorned. Permalink: I shall prove to them that truly, hell hath no fury like THIS woman scorned. Is anyone curious to see the outcome of the angels' tears? John Alden and Billy have stumbled back into the main story after their latest capture of the French commander. The side storyline with the war and the attack from the French/zombified Native Americans seems to be building to the real goal of the dark lord. But this new power necklace is a mystery. The same can be said about Mercy's real objective with Magistrate Hathorne. She's toying with him (and sleeping with him), but there has to be a hidden motivation somewhere for why she's doing this. Isaac is looking for something in his pursuit of Mercy and I want him to uncover a truth beyond her stealing blood to stay alive. Let's hope all these storylines lead to one big revelation. The war is coming and the battle of Good vs. Evil needs many players to join the fight. Wouldn't it be amazing if all our characters teamed up together to stop the dark lord and The Sentinel? A boy can dream. What did you think of "Night's Black Agents"? How will Mary stop the dark lord? Will Tituba's revelation keep Cotton in Salem? If you missed the latest episode of Salem, you can watch Salem online via TV Fanatic! Come back here to let us know what you think. Justin Carreiro is a staff writer for TV Fanatic. Follow him on Twitter.